If you have an ancestor that served in the military, you’re in luck! Military records can have a lot of great, valuable information. 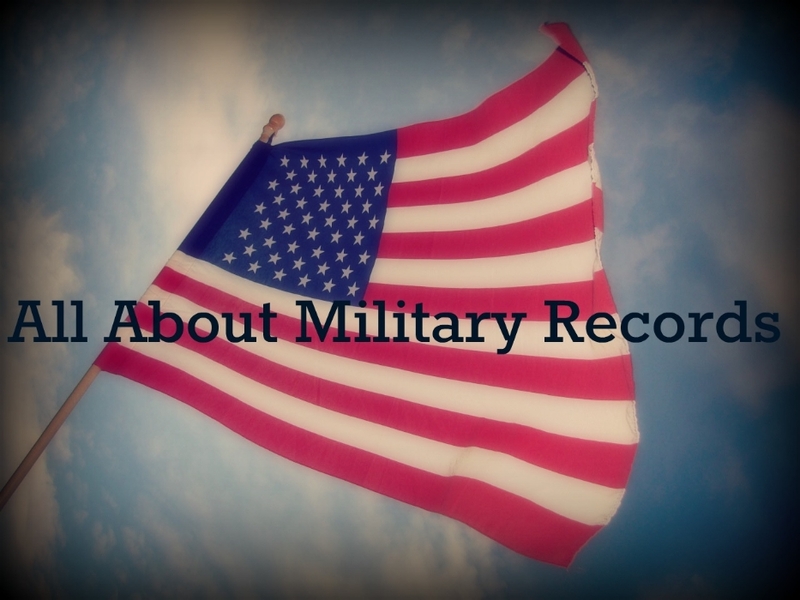 There are several types of military records. Draft Records: A draft is when the government required citizens to sign up for military service. They may or may not have been chosen to actually serve. These records are availble for the Civil War, World War I, and World War II. The information contained in these records may include: name, birth date, birth place, current place of residence, physical description (height, hair color, eye color, any identifying marks). Draft records are very useful because in World War I, all men between 21 and 35 were required to register. For World War II, all men between 18 and 45 were required to be available for military service, and all men between 18 and 65 were required to register for the draft. This covers a lot of people in a short amount of time. Chances are good you have a relative who had to register for one of these wars. Enlistment/Muster Records: These records were created when a soldier enlisted for the war. They can contain the name, rank, company, unit, residence, physical description (height, hair color, eye color), marital status, occupation, and birth place. These records can help determine if your ancestor ended up serving in the war you are searching for. Service Records: Service records are packets containing information about each soldier. Service records can contain the name, regiment, and where the soldier was serving at the time. The leaders took roll regularly in order for the soldier to be compensated. There are rolls included in the service records. These can also show if the soldier deserted, got injured, or mustered out. Pension Records: If your ancestor was given a pension, or if his wife was given a widow’s pension, you have struck gold!! Pension records can contain a wealth of information of your ancestor including: name, birth date, birth place, marriage date and place, spouse’s maiden name, children’s names and birth information, death information of the soldier, information about ailments caused by the war, and affidavits from friends and neighbors. Pension records are reliable records because they were filled out by the soldier or his wife. These are great records to break down brick walls by using the dates, discovering the wife’s maiden name, or tracking the friends and neighbors to locate more family. Where are they? Some military records are available on Fold3 (free access can be found at your local LDS Family History Center), but most are kept at the National Archives. Depending on the war, they may be kept in Washington, D.C. or in another NARA facility. More information can be found at https://www.archives.gov. If the records you are looking for are kept at NARA, they can be a bit pricey if you order directly from them. Another option is to hire a local researcher to make copies for you. This can save you 25%-33% off the NARA cost. There are researchers listed on the NARA website. So, if you’re trying to find some specific information about your ancestor, try obtaining their military records!